A grant scheme supporting rural businesses in parts of Devon and Somerset has awarded more than £1.5 million of funding over the past two years - becoming the top performing LEADER Local Action Group in the country. The Making it Local LEADER Local Action Group, which is part of the LEADER European rural development funding programme, has now closed to new applications, having provided support to over 50 projects. To mark its success, the project, which covers East Devon, South Somerset, Taunton Deane and six parishes in Mid Devon, has visited a number of projects in Monkton, Axminster, and Musbury that have received funding. It has also held a celebratory event at Seaton Tramway’s new Terminal building, showcasing businesses that have been supported through the programme, with talks from LittlePod, Gittisham Farm, Good Game and Seaton Tramway on the impact the funding had made. The event was attended by Neil Parish MP for Tiverton and Honiton. Axminster Heritage. This project has restored an 18th century dye house, and is part of a much larger project to create a visitor centre based on the town's carpet heritage. John Church, Chair of Trustees at Axminster Heritage, said: "The invaluable support and guidance we have received from Making It Local is helping us to create a community and tourist centre to celebrate Axminster’s heritage. Our extensive and varied range of community, cultural and heritage activities -including workshops, films, talks, outings and craft events- is already well supported by local residents. We are looking forward to when we open fully next spring." Haye Farm in Musbury. This organic farm has received funding towards a processing plant, to make its own produce from its livestock and vegetables. 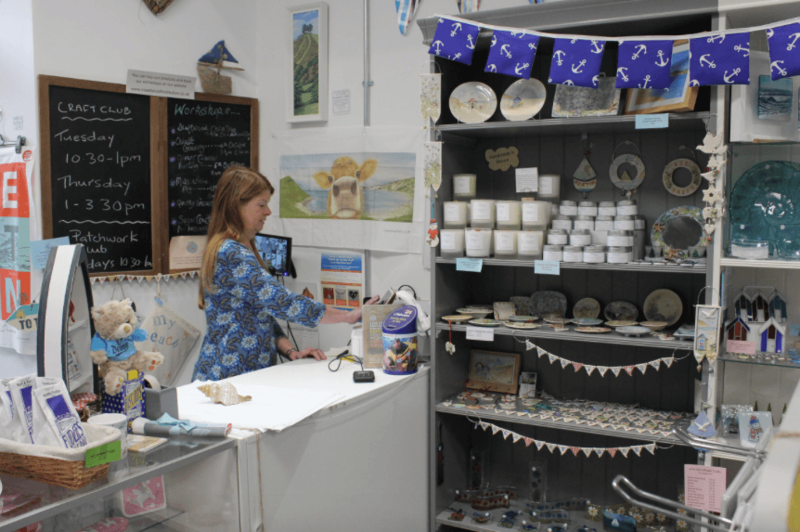 Coastal Craft Collective in Seaton has been supported to help refurbish its shop which sells products made by local crafts people. The business also runs workshops. The aim of the LEADER grants programme is to improve the rural economy by supporting community led projects in England which create jobs, and help businesses and rural communities to grow. The scheme is part of the Rural Development Programme for England (RDPE) run by DEFRA and is funded by the European Agricultural Fund for Rural Development (EAFRD).